We’re all in search of the rare, unexplored experiences that this world has to offer. It’s the notion which Black Tomato was founded upon, and over the years we’ve been committed to seeking these rare experiences and delivering them to our clients. We have now gone one step further and created Blink, an exclusive new travel service that offers you the most personalized luxury travel experience imaginable; the chance to design your own temporary accommodations and experience in locations so private and untouched that no one else will have stayed there before and never will again in the same way. It is yours and yours alone. There for a moment and then gone. Blink and you’ll miss it. 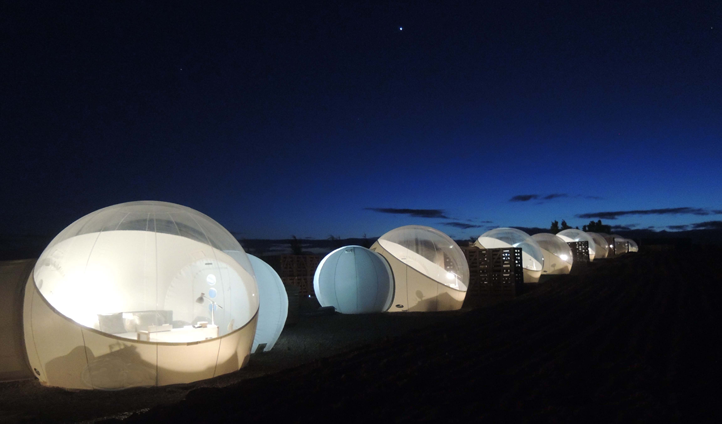 From chic safari-style tents overlooking the Mekong River to lunar-like bubbles on the Bolivian Altiplano. 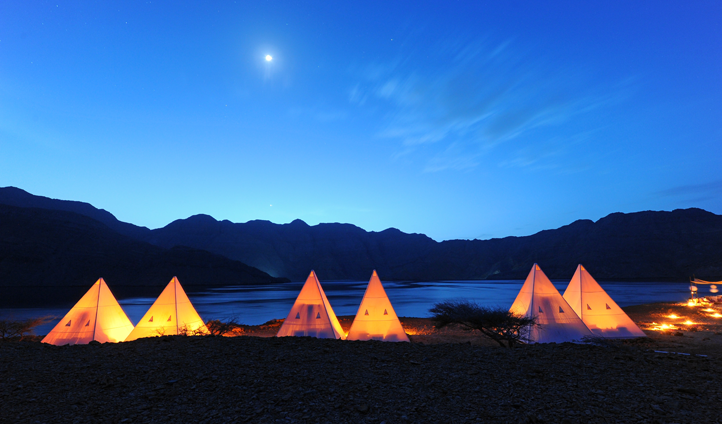 With Blink you can craft your dream luxury tented accommodations with our guidance and experience. We've scoured the globe for some of the most remote and beautiful corners on the planet and based on your location and environment of choice we'll then choose the most suitable tent structure for your Blink camp. Whether it's a romantic and intimate camp for two or a luxury camp set up for your family group we'll find the perfect fit and style to meet your needs. Below are a few of our favorite tent examples and our recommended remote destinations for a unique Blink experience. Take a look for a little inspiration and get in touch to start planning. We’re delighted to announce that Blink won the prestigious Best Innovation in Travel award at the Globe Travel Awards. Scroll to find out more about our camps and bespoke service. The flat and expansive Uyani Salt Flats and Atacama Desert landscapes are perfect for a Blink experience. We can take guests to the most remote and un-visited corners of the salt flats where you won’t find another soul in sight. 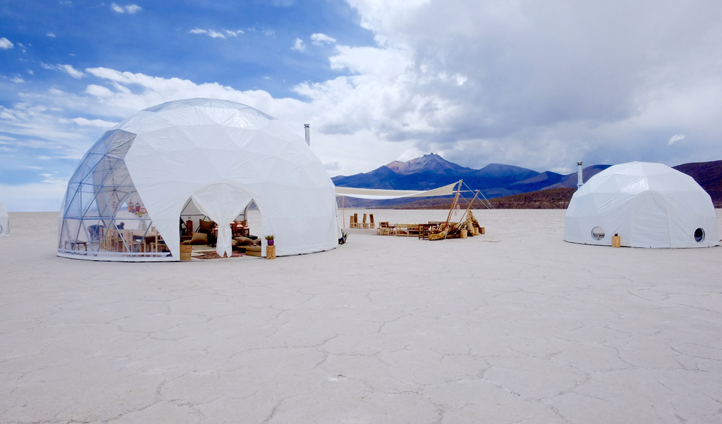 For these landscapes we recommend using the Dome Tents that offer guests space and serenity and seamlessly blend in with the stunning salt plains. 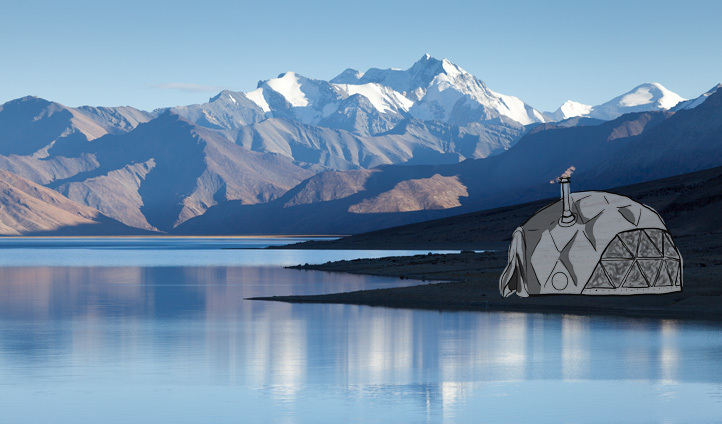 An iconic setting coupled with a contemporary design – this combination blends the striking landscapes of Ladakh with a unique, lunar-esque dome tent, blending style, comfort and natural beauty no matter where you decide to pitch. 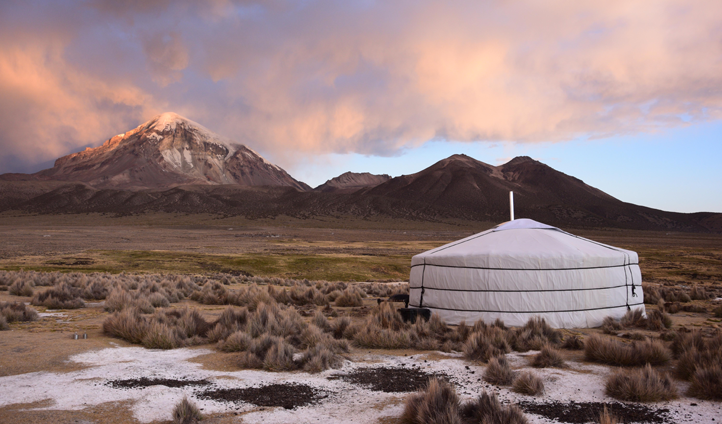 For guests looking to explore vast and almost uninhabitable landscapes in comfort the traditional Mongolian Yurt is the perfect tent for a Blink experience. 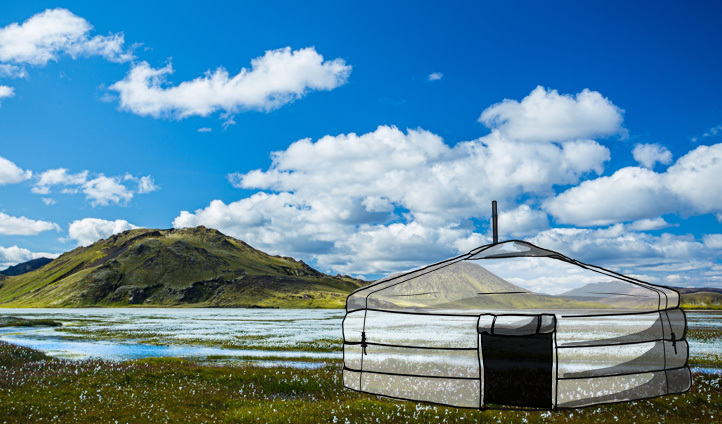 The cozy tents are ideal for cold and humid climates and isolated corners such as the Andean plains and Mongolian Steppe. One of the most iconic tented structures, the traditional Mongolian Yurt has developed over hundreds of years and has been shaped by extreme climates. For guests looking for a desert Blink experience the dunes of Morocco or Namibia are the perfect setting for a once-in-a-lifetime adventure. The lodge tent is perfect for families and groups, as the these mobile tents are suitable for all climates and can be adapted in size to suit the needs of your group. The ultimate in other-worldly experiences, the Bubble camps allow your Blink experience to transcend beyond usual luxury accommodations. With transparent ceilings guests can sleep amidst incredible views of the their setting of choice from Atacama Desert or Alps of Switzerland. Designed with maximum interaction with the environment in mind the Bubbles have allowed travelers to enjoy a new form of well-being in the closest proximity to some of the most awe-inspiring flora and fauna on earth. One of our most loved Blink destinations Oman with it’s sprawling deserts and coastline is where guests can embrace the spirit of the Nomadic traveler. Holing up in the Nomadic tents these tents are perfectly designed for desert conditions and experiencing true desert culture we can arrange for you to stay in tipis, bedouin tents, or rajasthani style tents. Romantic and nostalgic, these spacious tents are perfectly designed for steamy jungles and tropical islands. Air cooled villa tents have a timeless elegance that takes you back to a bye gone era. 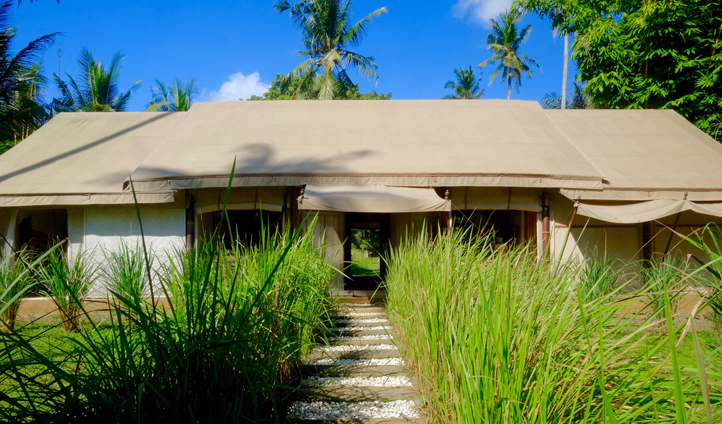 We can set up these tented villas in the remote jungles of Cambodia, Myanmar and Indonesia. Raw and wild, the Fjallabak Nature Reserve in the highlands of Iceland is home to the stunning Landmannalaugar lava field, the perfect place to bed down in a traditional yurt. No stranger to extreme climates, this structure offers a classic style which you can customize until your hearts content. Blink is designed for you, by you. It’s what makes Blink so bespoke. However, after years of daydreaming whilst putting these experiences together for our clients, we started wondering what a Black Tomato Blink camp would look like. So we’re very excited to introduce our very own Blink camp (well, two camps actually). This is Blink x Bolivia; this time designed by us, for you. Complete our online form that will help guide us when crafting your Blink experience. 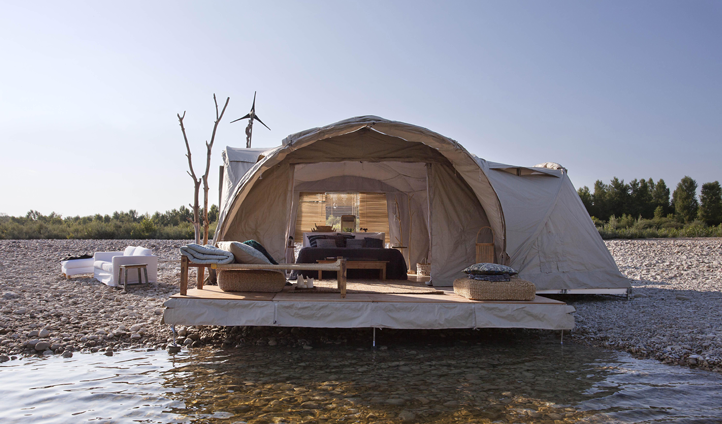 You can give us as much or as little information as you want so we can customize your camp, or alternatively our travel experts can guide and advise to create the perfect experience for you. We will contact you to discuss some initial destination and accommodations options or feel free to tell us somewhere that you already have in mind. Our travel experts will then curate a one-of-a-kind Black Tomato travel experience including a stay at your Blink camp for your desired length of time. We’ll also help book your flights and create unique experiences for you whilst away so you can explore the incredible environment you’re in. And most importantly, once you have experienced your Blink camp, it will be taken down and we’ll ensure that nothing is left behind, and no one else will have that same Blink experience. Our aim is to leave no trace and to let the natural environment remain in its perfect state.